Man United have been dealt an injury scare ahead of next weekend’s clash against Watford, after it was announced that Romelu Lukaku will not be playing in Belgium’s clash vs Cyprus due to injury. United have had to deal with a whole host of injury troubles in recent weeks, and it looks like their situation won’t be getting much better any time soon following this news. It was reported by Sky Sports on Twitter that Lukaku will be sitting out Belgium’s next match due to a foot injury, news that will come as a big scare for United. 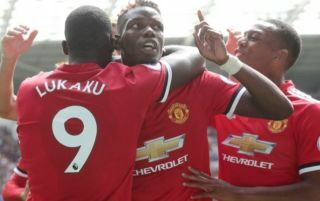 Lukaku has proven to be a key part of Ole Gunnar Solskjaer’s side in recent weeks, scoring braces against the likes of Southampton, PSG and Crystal Palace. It remains to be seen whether United will be without Lukaku for their match against Watford, however following this news, it doesn’t seem 100% certain that the Belgian will be able to play against the Hornets this time next week. This isn’t the only injury scare United are facing, as forward Marcus Rashford has been made to return to the club from international duty due to a “problem in his foot”, according to England manager Gareth Southagte via the FA’s official website.